Solid Snake has been dragged from retirement by his friend Roy Campbell. Snake’s former unit, FOX-HOUND, has gone rogue yet again, but this time under the leadership of Liquid Snake, the man who shares Snake’s codename…and maybe more. They are demanding the body of Big Boss and a large financial sum, but with what threat? Shadow Moses awaits as the legendary soldier begins yet another phase of his career. 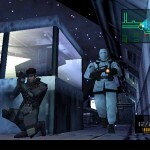 Shadow Moses, the start of the heavily popular Metal Gear Solid (MGS) series. The legendary game series the sent Hideo Kojima to the top level of game designers and producers and helped secure his position as a high level executive with Konami. It’s time to start covering the original and work our way back up to the previously reviewed MGS4 and to remind our readers of the old school games before Metal Gear Rising: Revengence, which comes to us from a third party and is nothing like Kojima’s work. Gamers will not have to play Metal Gear and Metal Gear 2 in order to fully understand the story as it is somewhat retold as you play, though it does add to your understanding as well as the richness of the experience. 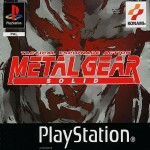 MGS begins a long trend of confusing storylines seen throughout all the games. Because of this intriguing and constantly twisting and turning storyline, the plot of the game is spectacularly woven into the playing that the gamer puts into it. What starts as a mission to stop a terrorist threat becomes a twisting tale of lies, deceit, red tape, and betrayals. 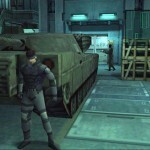 While there are several cliché moments in MGS, there are the unique aspects that make the game stand. MGS had wonderful graphics for its time. That said, by modern standards, they are old and archaic, but fortunately don’t make the game unplayable and still lend an amount of human emotion as expressed by body language. The audio is relatively average, but the game has a good soundtrack. Characters in the game are a joy to follow and understand. Each character has their own motives, own personality, and are not cardboard cookie cutter creations that leave a stale taste in your mouth. Character interaction is a big part of the game, and, as it should, drives the storyline. It also provides the greatest sense of confusion even over the actual events of the game itself. If you’re fortunate enough to have the “holy grail” PS3 with hardware emulation, feel more than free to pick up a copy of this classic PS1 game. If not, spend the $9.99 through the PlaystationNetwork store and enjoy the game.